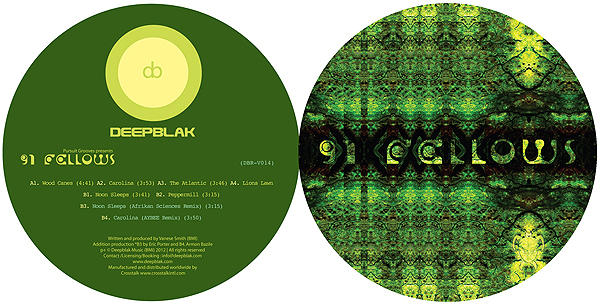 The “Future Reference EP” see’s Deepblak label head AYBEE pushing ever forward into the outliers of electronic rhythms. Always avoiding convention “The Future Reference EP” continues to expand on the producers affinity for forward thinking dance music rooted in soul expression. 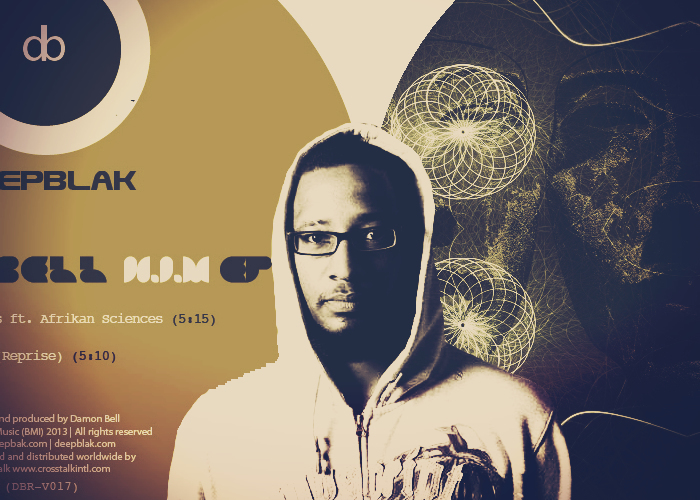 After shifting through a few different monikers the last year Deepblak Rhythm Czar Afrikan Sciences returns to form. Laced always with his elastic funk forward grooves the “Reciprocity” EP continues to build on his legacy. One that has consistently morphed diasporic rhythms into new colors. Creating new space on the dance-floor as well inside the mind. 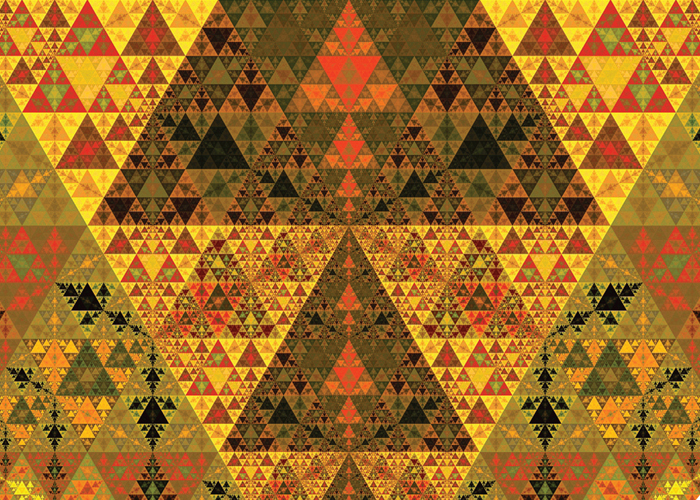 Four independent yet intertwined tracks all meant to make you oscillate inward outward. Written and produced by Eric Porter. The Passage EP brings together two of the chief champions of far reaching sounds in AYBEE, and Lars Bartkuhn. Bartkuhn best known for his work with his iconic (NEEDS) imprint, and AYBEE for his boundary pushing ethos at (Deepblak). A project spawned of mutual love, and respect the two met at an impromptu jam performance at the Xjazz Fest where the seeds were planted for further collaboration. Committed to stretching out beyond tight parameters they sought to capture the spirit of the dance. As “The Astral Walkers” they set out to combine the fearless freedom of the Jazzfunk era with the endless possibilities within electronic music. Limited Release EP from AYBEE leading into the “THE ODYSSEY” LP featuring “Man and Machine” on the A-Side, and 3 B-Side bonus tracks not on the album. AYBEE – Man Over Machine from Deepblak on Vimeo. Deepblak Chief Connoisseur Damon Bell returns with more Cali infused dance-floor vibes on his Teph-Tep EP. Smooth yet driving Teph-Tep pulls you into the center of Damon’s grooves, and textures. As with previous releases the emphasis lay in Damon’s arrangements that can power the dancefloor, and sit just as comfortably in headphones. 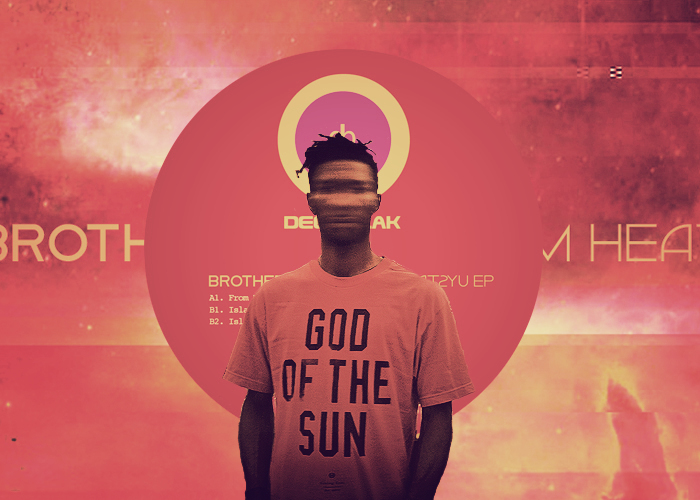 Teph-Tep sets the stage for Damon’s forthcoming debut LP coming fall 2014 on Deepblak. Chris McWayne aka Brother Aten makes his DEEPBLAK debut in impactful fashion. An A&R find of Afrikan Sciences McWayne is most notably known for his Hip-Hop forays under his Maf Maddix moniker. Based in Charlotte, North Carolina McWayne’s production, and sound is not the typical associated with that of his peers hailing from the US’s southern region. Robust, dynamic, and enticing McWayne’s productions tie in his Hip-Hop, and Jazz themes then pushed to the outter realms much like his friend Afrikan Sciences. 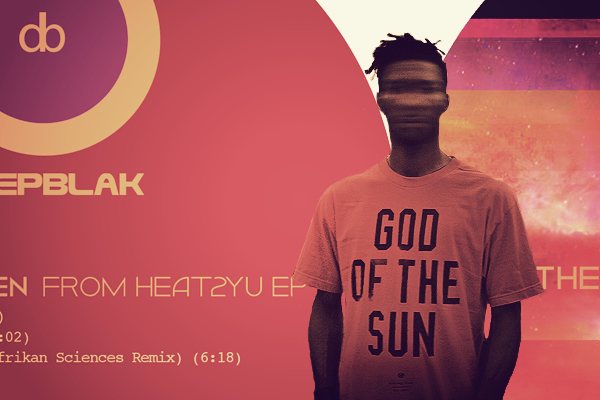 The “From Heat2yu” EP includes the title track, and the gorgeous winding “Islands of Dust”. Afrikan Sciences chimes in with a remix for “Islands of Dust” adding distinct flavorings to the EP. An excellent introduction to a new artist. We hope you enjoy. 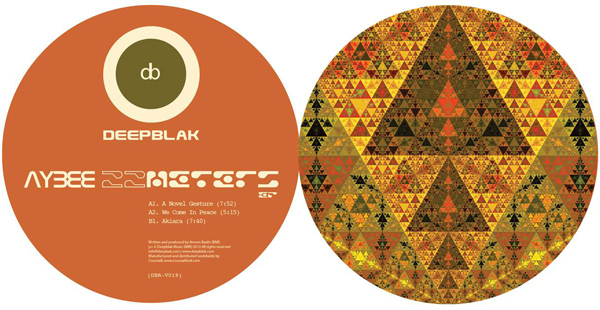 The Deepblak Chief Alchemist kicks of 2014 with his “22 Meters EP”. This is his first ep since relocating to Berlin 2012, and reflects the different modes of the dancefloor experience as filtered thru AYBEE’s metronome. Driving, atmospheric, and at times euphoric AYBEE melds these narratives into an EP that carries the emotional colors of an album. “22 Meters” also sees the vinyl release of “Akiara” a long standing Deepblak favorite only previously available digitally. 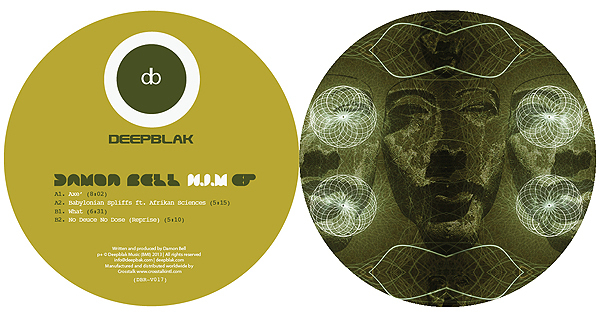 Deepblak’s Chief Connoisseur Damon Bell steps forward with his third Deepblak vinyl project the “H.I.M” ep. Damon stays true to his ethos of weaving his jazz, funk, and soul influences into deep delicacies. The H.I.M ep also sees him joining forces with Deepblak co-head Afrikan Sciences for the twisted rhythm’s of “Babylonian Spliffs”. Always sprinkled with attention to warmth, and atmosphere Damon’s rhythms have the tendency to invite. Much like his DJ sets at his now famed 389 night in Oakland his productions pull you in, and leave you to surf the groove. Leaving something always for the head, heart, and body. Deepblak is proud to bring forth this latest project from Damon as we build into his forthcoming debut Album. We hope you enjoy the ride as always. 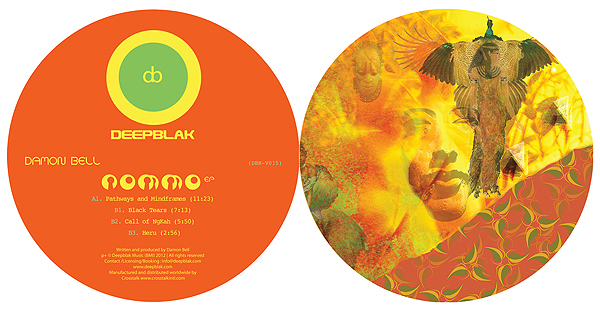 Deepblak resident connoisseur Damon Bell returns with the “Nommo” ep. 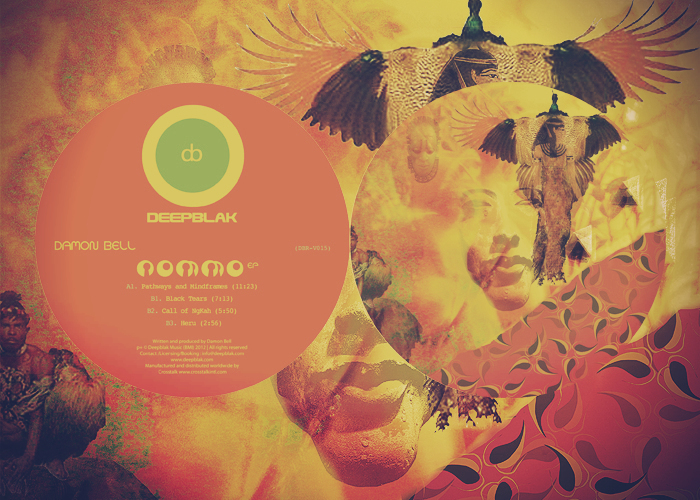 In line with his appreciation for all things deep the “Nommo” ep continues to provide Damon with a canvas to create his deephouse visions fusing funk, jazz, and soul into an intoxicating mood. This is music for the attentive listener rich in melody, and subtext. “Pathways and Mindframes” which pushes the 12 minute mark could just as easily been 3 separate tracks, but it shows off Damon’s arranging skills as he molds a long play gem. Side B includes “Black Tears” which is another deep driving tune that pulls you in while “Heru” is a beautiful jazz flip that is laced with warmth. 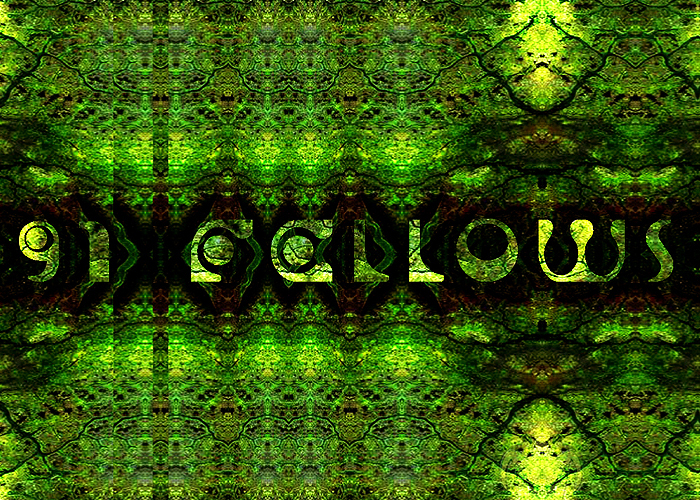 This is deep music which finds it’s home just as easily in the headspace as it does on the dance-floor. We hope you enjoy. The multi-talented Vanese Smith aka Pursuit Grooves makes her debut on Deepblak under her new “91 Fellows” moniker. After establishing herself in recent years with Pursuit Grooves outings heavy in beats, and bass Smith turns her talents to more open sonic landscapes. “91 Fellows” represents as she terms her push into Cinematic Dub leaning heavily on her collegiate film major roots. The project was inspired as a dedication to her grandfather who passed on in 2011.
translates to the listeners heart as well the ears.